Plumbing Webmasters is hiring content writers with experience in SEO-related writing. Candidates are expected to have a degree in English, Marketing or a related field and produce writing samples upon request. 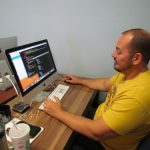 Plumbing Webmasters is hiring web designers with experience in custom design and SEO-friendly design. Candidates are expected to have a degree in website design, computer programming, or a related field. 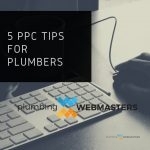 Plumbing Webmasters is hiring PPC management experts with experience managing paid advertising campaigns. Candidates are experienced to have certifications from Google Ads Academy. Plumbing Webmasters is hiring social media experts with experience in both paid and organic social media campaigns, brand development, and content distribution. Candidates are expected to have a degree in marketing or a related field and experience with Facebook, Instagram, Twitter, LinkedIn, and YouTube as well as data analysis. Plumbing Webmasters is hiring SEO specialists with experience in on-page SEO and off-site SEO. Candidates are expected to have a degree in marketing or a related field and knowledge of WordPress, Google Analytics, SEMRush, MOZ, and AHRefs.